Enjoy the season with this cheerful look! 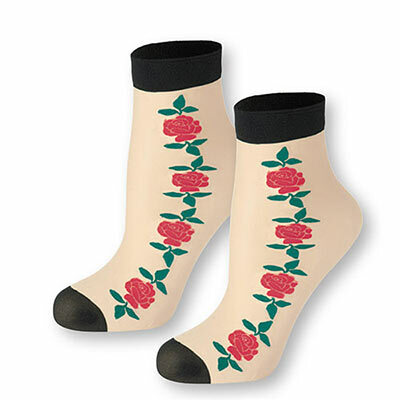 Ankle-length, sheer polyester Red Rose Stockings are accented with roses and leaves going up the sides and a black band around the top. Gentle wash. Imported. One size fits most. Limited Quantities!